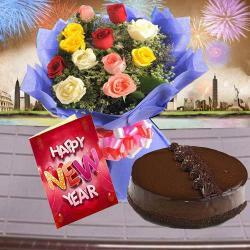 Product Consists : Bouquet of 15 Mix Color Roses with some fillers in a cellephone wrapping with a matching bow, Cadbury Celebrations Chocolate Box (Weight : 118 gms), Kaju Katli in a Box (Weight :500 gms) along with New Year Greeting Card (Worth Rs.50/-). 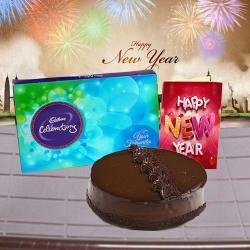 Have a look at this mind blowing gift hamper that is bound to fill hearts of your loved ones with joy. 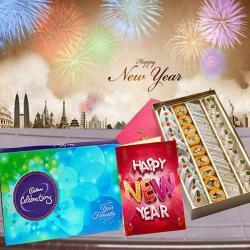 Make New Year celebration ultra special by sending this incredible hamper that comprises of a lip smacking chocolates Box from Cadbury Celebrations, a half Kg Box of yummy Kaju Katli, a bunch of 15 hand-picked fresh roses in mixed colors like pink, yellow and red and a funky New Year greeting card. 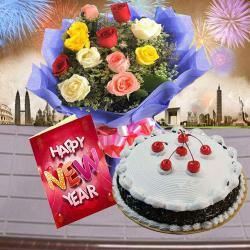 Order this wonderful hamper now and make them feel special. 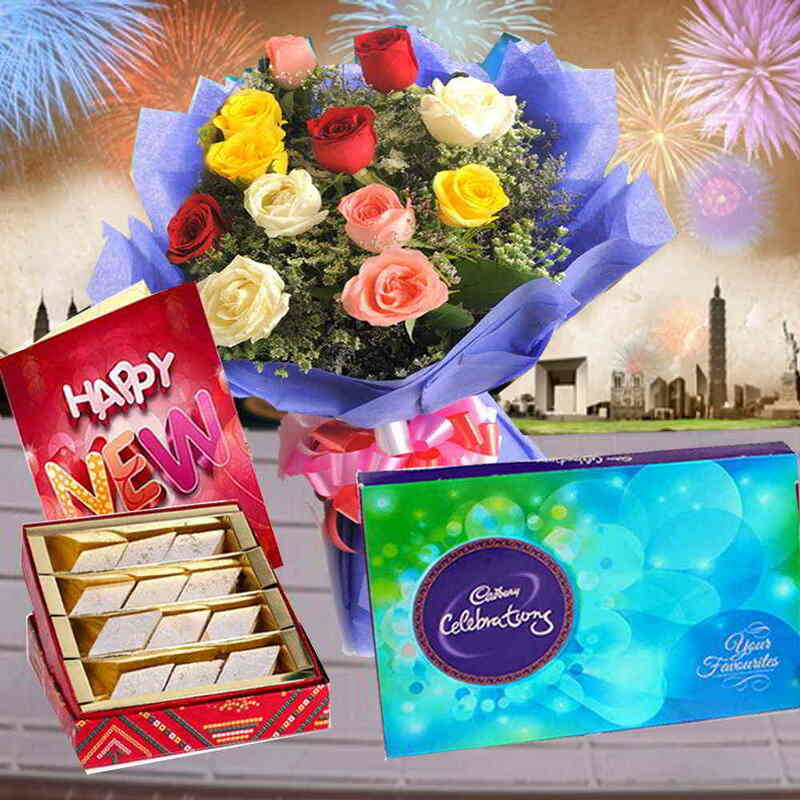 Product Consists : Bouquet of 15 Mix Color Roses with some fillers in a cellephone wrapping with a matching bow, Cadbury Celebrations Chocolate Box (Weight : 118 gms), Kaju Katli in a Box (Weight :500 gms) along with New Year Greeting Card.